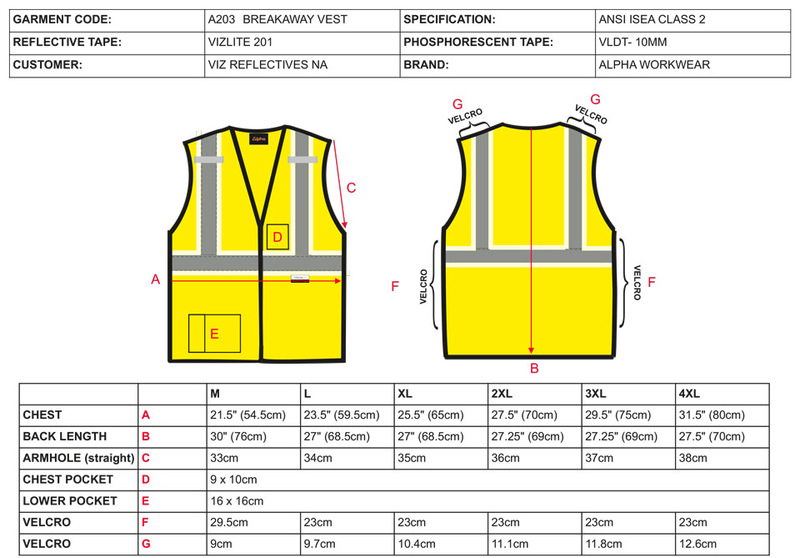 The 5-Point Breakaway Safety Vest is available in Yellow in sizes M-4X. This breakaway vest illuminates in the dark without the need for batteries. It is charged by daylight or artificial light and is not LED powered. Through rigorous research and development there is a new safety level added to clothing by Alpha Workwear. These new safety garments with bright colors, reflecting and illuminating materials are available from Safety Smart Gear.